In some parts of Baltimore, a new basketball court would be little more than a pleasant addition to the neighborhood. Not in Oliver, where Keyon Johnson sees the newly refurbished court on Caroline Street next to Dr. Bernard Harris Sr. Elementary School as a lifeline. 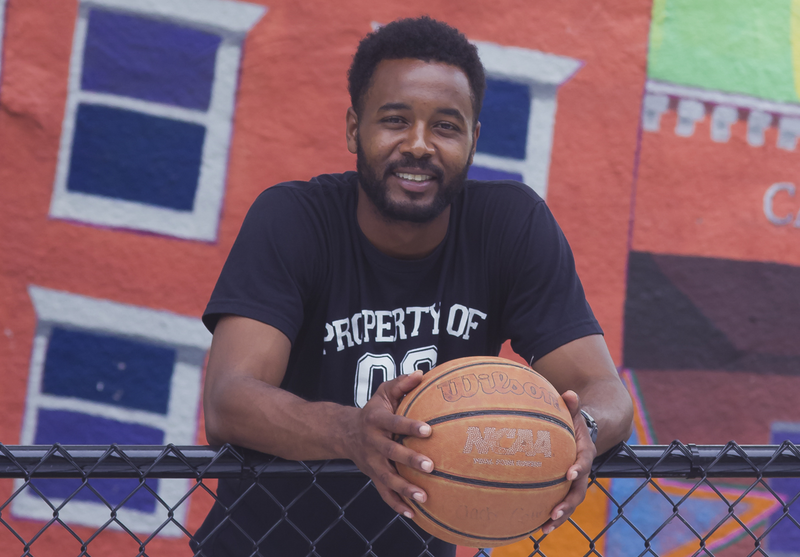 Johnson, a former college basketball player, is the leader of OC250, an organization of highly motivated volunteers who see recreation as an essential ingredient in lifting up their community. He recalls how important local rec centers were when he was growing up, and laments that many in the city have closed. That’s why he worked hard — with the local neighborhood association and with the city — to make sure the new court got built. I know everyone in this community, and they all trust and believe in what I do. Johnson’s theory is that kids who are busy with sports, or other physical activities like dance or yoga, won’t have the time to get into trouble with drugs or gangs. After two years of offering programming every Sunday during the summers, OC250 is moving to a “no days off” model, with athletic activities throughout the week, field trips, and evening events including weekly movie nights. It’s not all fun and games, though; conflict resolution and social skills mentoring are an important part of the program. And it’s all free. OC250 charges nothing to the program participants, who range in age from 5 to adult. The kids eat for free too, while adults are expected to pay a buck for a hot dog or cold drink. Johnson believes strongly that community building work can succeed with little or no money. Johnson is open about mistakes he has made, including dealing drugs to help provide for his family and getting kicked out of college. He ekes out a living working at a community garden in the neighborhood and spends the bulk of his free time working to make OC250 a success. Once the program has the momentum to sustain itself without his oversight, Johnson says he will consider bringing his organizing skills to other communities, some of whom are asking for his help. For now, Johnson is focused on Oliver, where his confidence in his ability to change things for the better comes from the fact that all kinds of people — from gang members to church leaders to ordinary residents — know him and respect what he is trying to do.